Terra Verde Restaurant in Green Valley Ranch Resort and Spa adds Enomatic Wine tasting To Its New Happy Hour Menu. Happy hours all over the city are getting better and more imaginative. Long gone at the days when the happiest part of the day featured chicken wings, maybe a salad and watered down cocktails. Executive Chef Luigi Iannauario and Corporate Wine Director Peter Donkonics have combined their experience for what may be one of the best Happy Hours on or off the strip. Stop in a enjoy a Ham & Cheese Focaccia with a tasty Gary Farrell Noir or mouthwatering Peppers and Sausage with a classic Marchesi Antinori Chianti Classico Riserva . Also on the plate, Meatball Sliders, Zucchini Fritti with Calabrese Aioli and a Fried Mozzarella Sandwich in Carrozza. Enomatic wine tasting is an oenophiles playground where one can enjoy wines you may have never had or may make you wallet a little too light for your liking. 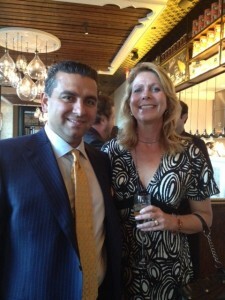 We will be back to Terra Verde often and play in the world of great wine and Italian cuisine. The Mexican Riviera's Capella Pedregal Food and Wine Festival in Cabo San Lucas Has A Special Treat For Food and Wine Enthusiasts. The Mexican Riviera is the perfect place to relax on beautiful beaches and get away from it all. This summer Capella Pedregal, located in Cabo San Lucas is offering culinary enthusiasts the chance to indulge in a delicious foodie experience at the hotels annual Food & Wine Festival from July 9-13, 2014. The Intimate resort is limited to only 120 guests. This tasty four-day celebration of local Mexican flavors along with a new take on Baja modern cuisine allows visitors to not only taste the creations of America’s top master chefs but also the resort’s award-winning culinary team. In charge of the kitchen is Capella’s Executive Chef, Yvan Mucharraz who trained under famed chefs such as Thomas Keller at The French Laundry and Juan Mari Arzak, one of the great masters of New Basque cuisine. Capella Pedregal’s Food & Wine Festival package allows you to learn specific culinary skills from these renowned chefs in exclusive seminars but also includes so much more for the perfect getaway package. Spend four nights and five days of pure indulgence in the ocean view room or suite category of your choice then enjoy a full breakfast each morning in Capella’s signature restaurant, Don Manuel’s. A great way to start of the culinary dream weekend is a welcome wine and cheese reception under the stars with celebrity chefs at Capella’s Cliffside restaurant, El Farallon. Throughout the weekend plan on enjoying cooking demonstrations throughout the weekend, with each celebrity chef in attendance. Thirsty ? not a problem with two wine tastings and a Tequila seminar with a Maestro Tequilero. These are sure to be a highlight of the visit. Of course when at the beach its time for a Barbecue. The resort with host a Barbecue Party at the Beach Club with each of the celebrity chefs preparing a specialty, rich barbecue dish. The main event will be a Gourmet Gala five-course dinner with each course prepared by a celebrity chef and an after party with live music as you dance the night away under the stars. And just for the final touch , upon arrival , enjoy a welcome bottle of tequila in your guestroom Gift bags and Nightly turn down gifts to enjoy. Each room and suite even includes wireless Internet and a refreshment center stocked with complimentary soft drinks, juices, coffee and bottled water. Cabo San Lucas, great wines and celebrity chefs is a lovely way to spend a long weekend in paradise. See you in July. 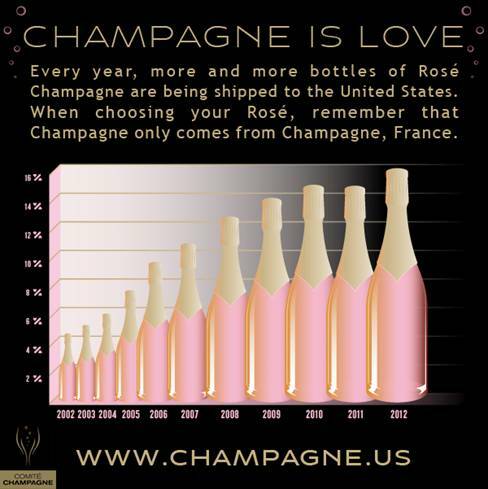 Rose Champagne bubbles over in the United States. With Valentine’s Day just a few days away, more and more consumers are turning their attention to the pink bubbles of Rosé Champagne. Over the past decade, the shipments of rosé from the Champagne region of France have enjoyed significant growth in the U.S.—just last year over 2.7 million bottles of Rosé Champagne were shipped to the U.S. comprising 15.3% of all shipments to this country. More and more Americans understand that Champagne only comes from Champagne and we think that the growth of shipments of Rosé Champagne to the United States is an interesting and promising trend. Night Club & Bar announces 2014 Nightclub & Bar Award Winners to be honored at NCBShow2014 in @Vegas March 24-26! Nightclub & Bar Media Group has named the winners of the 2014 Nightclub & Bar Awards. After receiving hundreds of qualified nominations, the annual awards winners are recognized for being 2014’s best and brightest movers and shakers in nightlife. As the premier national program dedicated to recognizing and celebrating all aspects of success across various levels of the nightlife industry, the Nightclub & Bar Awards honor both individual winners, demonstrating expertise, professionalism and sales success, and establishments, exhibiting excellence in concept development, operations, promotion and innovation. Winners are featured on Nightclub.com, and will be celebrated during an awards ceremony at the upcoming 2014 Nightclub & Bar Convention and Trade Show in Las Vegas, March 24 – 26. · Winner: The Huxley, Washington, D.C.
Congratulations to all the winners and finalists . 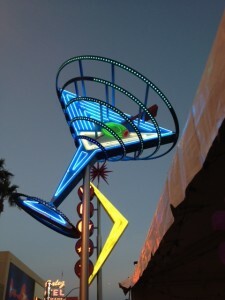 Valentines Day Choices In Las Vegas Are Tasty and Diverse. St Valentine’s Day , the words jump out with anticipation for some and evoke downright fear to others who may be the check payer and the evenings event planner. No matter what side of the check you may be on, it’s a day to spend time with someone you love and show them how special they are. What a better way to show you care than and nice dinner for two. Las Vegas, being the culinary center that is, offers a very diverse choice for a romantic evening. The Palms Resort would be a great choice. Dine at the newly remodeled Nove Italiano for some Italian fare. Chef de Cuisine Kieran Toivonen has prepared a Valentine’s Day tasting menu for two for $69 per person. Enjoy an amuse with a nice choice of Shrimp franchaise ,Panzanella or Lobster risotto. After the tasty beginning, it’s your choice of a 6oz petite filet, Florida grouper with tomato fennel compote or a lovely Chicken parmesan. For the big FINI , share the Red velvet cheesecake with macerated strawberries and fresh whipped cream with your guest . If not in the mood for Italian, how about an Iron Chef ? Celebrated chef Kerry Simon, Simon Restaurant & Lounge has an inventive menu featuring a concentration on the freshest seasonal items and quality organic ingredients. Simon will offer a special Valentine’s Day prix fixe menu at $149 per person. Start off your experience with a rich Lobster bisque served with a grilled baguette and then Grilled radicchio salad with mizuna, goat cheese, pecans, and orange vinaigrette. After a refreshing Champagne flute and raspberry sorbet it’s time for a palate pleasing next course. A perfectly prepared spice rubbed flat iron steak with pancetta, fingerling potato and garlic herb oil and seared diver scallops with citrus quinoa is sure to set the mood for the evening. Finish this Iron Chef experience with a sweetheart sweets platter that is sure to sweeten the deal. 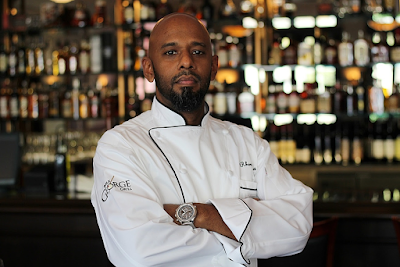 Still at the Palms, The iconic N9NE Steakhouse has recently enhanced its menu and has reopened following a remodel to reveal a contemporary look. You can’t go wrong with Caprese Salad featuring House Cured Tomatoes, Buffalo Milk Mozzarella, Toasted Pine Nuts, Red Onion and Sweet Basil Vinaigrette. A very nice gift from the sea is also offered as well. Why not enjoy Seared Yellow Fin Ahi Tuna with Seasame Crusted Field Watercress, Crispy Noodles, Seaweed Salad, and Yuzu Vinaigrette. For the carnevores , a Grilled, 16oz, Veal Chop Marsala with seasonal Mushrooms, Roasted Peppers, Cipollini Onions, and Marsala Sauce will make your mouths salivate. To cap off the evening with a view, couples can enjoy a spectacular view of the Strip from the sophisticated Ghostbar lounge, which will feature an open champagne bar from 8 – 10 p.m.
On the famed Las Vegas strip stop at Caesars Palace and visit the legendary Raos’ . Chef Fatimah Madyun has created a nice a la carte Valentine's Day menu that your loved one will enjoy. Don’t miss the Veal Short Rib Arencini shredded & mixed with Parmesan Risotto, dusted with Breadcrumbs & Fried until Golden Brown. The Herb Gnocchi with Rosa Sauce with Fresh Basil & Oregano Tossed in a Creamy Rosa Sauce will make you say “now That’s Italian. 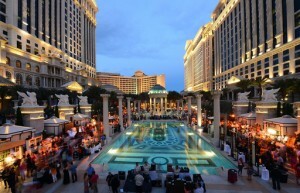 Right in the middle of the strip the Palazzo Resort has a few delightful choices to choose from. LAVO Italian Restaurant inside The Palazzo Resort Hotel Casino will feature a $58 prix-fixe menu in honor of the day of love. A surprise amuse bouche crafted by the chef starts you off on your culinary journey. The next course offers you a choice of Rock Shrimp & Zucchini in Filo Dough or Heart Shaped Lobster Ravioli, made with king crab sauce, Tarragon and Calabrian Chile. You can’t go wrong with either. The meal is centered by Roasted Arctic Char with winter vegetables, truffle emulsion and Baked Alaska Zuccotto topped with Amarena cherries that will send you home with a smile. 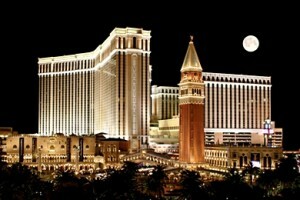 For an Asian flare to your romantic day, The Venetian Resort has the perfect place for you to dine. TAO Asian Bistro at The Venetian Resort Hotel Casino will offer a $58 prix-fixe menu. This Asian inspired four-course experience starts with Oysters with a Miso & Onion Mignonette and Tomato & Ponzu Salsa. Then choose from Pan Seared Pork Belly with Spicy Picked Shimiji Mushrooms & Crispy Lotus Root or a Sashimi Bouquet with Yuzu & Rose Water Vinaigrette. After that gastronomic beginning dive into a succulent Salt & Pepper Lobster Tail & Kobe Hanger Steak before ending your evening with a Dark Chocolate Pot de Crème with White Chocolate Yuzu Strawberry. Spend Valentine’s Day with a BAM! from Chef Emeril Lagasse. 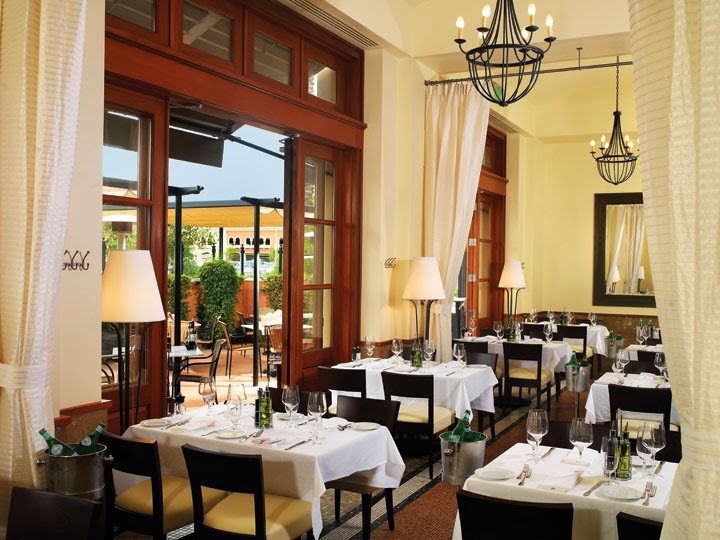 The renowned Delmonico Steakhouse at The Venetian is a perfect choice for the day. Begin with Escargot over Wild Mushroom Toast with Herb butter and persillade. Enjoy a delightful Ahi Tuna Carpaccio with Hearts of palm, fennel, citrus, extra virgin olive oil and petite greens. For the Entrée order the "Osso Bucco” in rich Brown butter, cauliflower puree and olive oil poached vine ripened tomatoes. There is no better choice than the Chocolate Truffle Torte, a decadent Chocolate ganache and raspberry coulis for dessert. 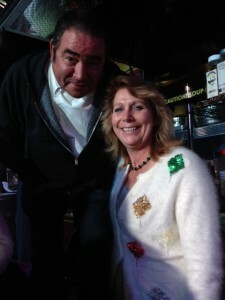 Another great choice for fans of Emeril is Table 10 at The Grand Canal Shoppes at The Venetian and The Palazzo. Start your meal off with a choice of house chocolate or glass of sparkling wine for the ladies, then experience fresh west coast oysters and cold cucumber ginger jus. Now that your palate is awake, Emeril’s Kobe Beef Flat Iron Steak with Bok choy and pearl onions, sweet soy sauce and duchess potato is a nice follow up. 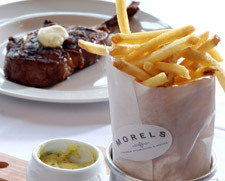 If you can’t take your special loved one to France then bring them to Morels French Steakhouse & Bistro at The Palazzo. Sit on the veranda overlooking the bright lights of the strip and start with Crab Salad on Potato Crisp and American sturgeon caviar. A crisp, fresh Boggiato Farms Baby Iceberg salad with house dried cherry tomatoes, spring red onion, applewood smoked bacon and blue d’Auvergne dressing will get you ready for your next culinary treat. Cut into a perfectly prepared grilled Filet Mignon with Maine Lobster Tail, Potato puree, sautéed green beens in foie gras butter and bordelaise sauce. Finish this meal off in 18kt gold. Settle into a rich Hazelnut & Gianduja Chocolate Dome with 18kt gold leaf, white chocolate shavings and winter berries. 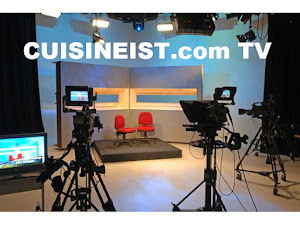 Everyone loves The “Cake Boss “so why not take your loved one to enjoy his family’s Italian inspired cuisine. The recently opened Buddy V’s Ristorante is a personal favorite because of owner Buddy Valastro’s heirloom family recipes, famous desserts and a spectacular view of the center of the strip. Enjoy a cool glass of Ruffino Prosecco , sit back and enjoy . Get things started with Agnolotti tableside. A homey tasty miniature ravioli, Sunday gravy style veal shank, sausage, pork & sage brown butter to prepare you for the coming culinary artistry. Then it’s your choice of Caprese & Prosciutto. A jersey beefsteak tomato, burrata cheese, charred green beans with balsamic or Arancini with peas, parmesan and truffle fondue. It’s all up to you again with a choice of Branzino , cured lemon, arugula salad, and pine nuts. Or Beef Tenderloin & Shrimp Scampi with sautéed spinach, mashed potatoes and chianti sauce. Being it’s the “Cake Boss” you must try Buddy’s XL Lobster Tail , a one of a kind custard cream, flaky pastry, seasonal fresh fruit; and Biscotti Amore. If you want to get away from it all, head for Summerlin and spend your special day with another personal favorite. Honey Salt owners, and husband and wife team, Chef Kim Canteenwalla and Elizabeth Blau have created a special holiday menu that you and your loved one will enjoy. Start with a kiss and you can’t have a bad day. In this case, it’s a French Kiss, yes Oysters, Champagne, Toast with a pink peppercorn mignonette. Next up, a tasty fresh Shrimp Cocktail with horseradish, tomato jam or Perigord Black Truffle Pappardelle with roasted mushroom ragout. A gift from the sea and land is next with your pick of Baked Stuffed Lobster with blood-orange braised fennel, fingerling potatoes, lobster sauce or Wagyu NY Strip with truffle potato rosti, braised greens and bone-marrow vinaigrette. For a romantic finish share a Red-Velvet Bundt Cake with raspberry sauce, McConnell’s chocolate ice cream; and Valentine Kisses, Linzer cookies filled with raspberry jam with the one you love. On the strip or off, there are a plethora of choices for your special day in this culinary epicenter for your special time out with your loved ones. Enjoy and have a wonderful experience no matter where your path or heart may lead.